The NSW Food Authority has decided to no longer conceal the identity of the grower linked to the recent listeria outbreak that has affected 17 Australians, including four related deaths. Using genetic sequencing technology, the rockmelon has been traced back to Rombola Family Farms, a grower located near Griffith in New South Wales. 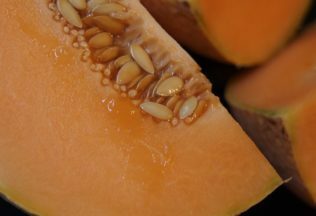 Since the listeria outbreak, some within the rockmelon producing industry have been calling for the NSW Food Authority to name the grower linked to the listeria outbreak, believing it will help prevent consumers from avoiding all rockmelons. It has been reported that some retailers have been struggling to sell rockmelons to consumers or are choosing not to sell them since the outbreak. This comes despite the NSW Food Authority now expressing it is confident supplied rockmelons are now safe to eat. Rombola’s website states that it grows a variety of produce including citrus, pumpkin, broccoli, wine grapes, watermelon and almonds. Rombola Family Farms also says it is one of the biggest melon growers in Australia. Australian Food News contacted Rombola Family Farms for comment but was informed that it is not currently offering comment to the media. The NSW Food Authority says it is working with Rombola Family Farms in an effort to support the business and the wider rockmelon industry.